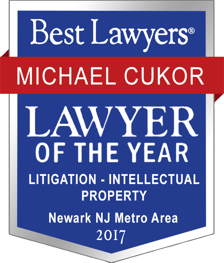 Michael Cukor is an IP litigator whose background in industry, technology, and programming facilitates a thorough understanding of what it takes to bring products to market, as well as a deep appreciation for the importance of protecting intellectual property. In over seventeen years of litigation experience, he has developed a passionate focus in copyright, trademark and design patent enforcement. He has been a first chair trial attorney in cases involving software, hardware, and brand name consumer products for the last ten years. Michael handles all aspects of intellectual property litigation and enforcement, from patent litigation to trademark and copyright enforcement and licensing. Michael is dedicated to extremely efficient, goal-oriented practice. He uses project management and data mining technologies to budget and run large-scale litigations with fewer resources, in order to give clients the information and power they need to develop a risk management strategy that matches their business and project. Michael enjoys learning about his clients’ businesses and working collaboratively with them to find innovative solutions to their issues. He believes this is best accomplished outside the traditional law firm revenue model of selling associate time, and he welcomes client discussions regarding project and value-based billings. Michael is also devoted to raising his three sons, his yoga practice, and reading texts ranging from the poems of Rumi to the science of Angier. He also maintains a pro bono practice supporting the arts with a focus on the artists of Burning Man. Best Lawyers® began designating “Lawyers of the Year” in the U.S. in high-profile legal practice areas in 2009. Since then, we have extended this honor to many other countries where the Best Lawyers peer-review process is conducted as well.